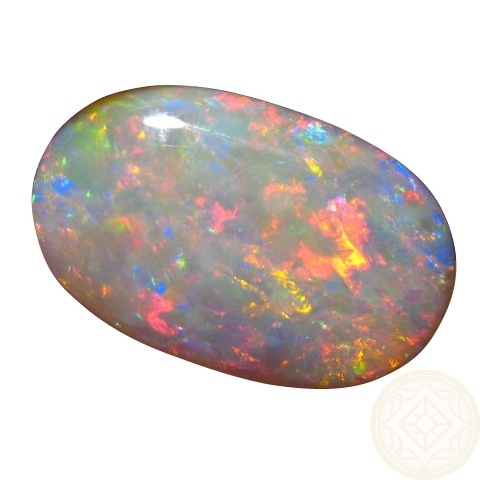 A Crystal Opal of almost 19 carats with very bright colors. 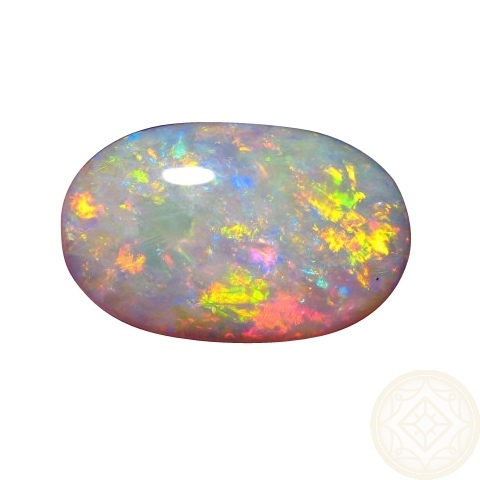 One only. 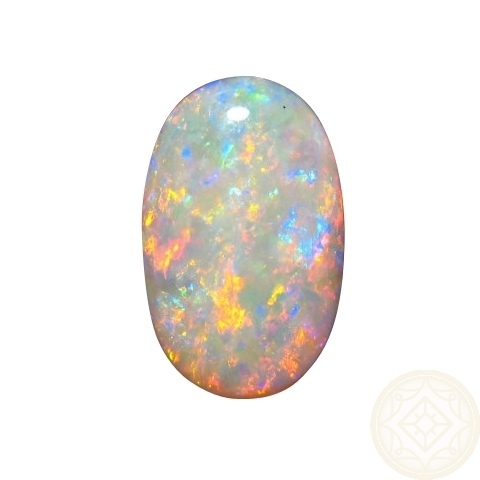 A Crystal Opal from Coober Pedy that has a rare combination of size, color and brightness - very unique. 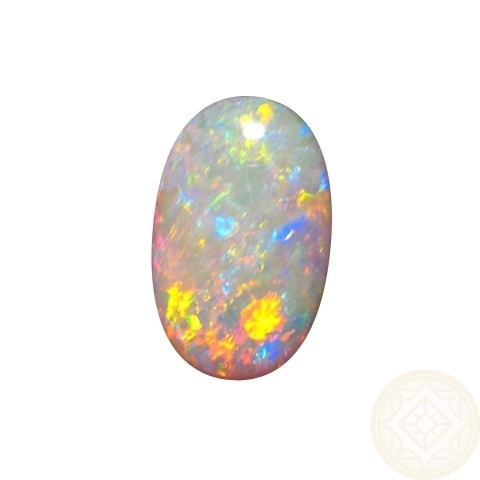 Red, Yellow and Blue patches cover the entire 18.93 carat stone, top to bottom which would be impressive if set in a Pendant. 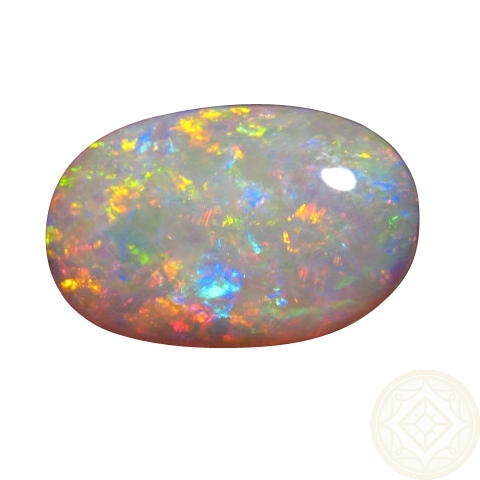 Not only does this natural opal have rare features as mentioned, it was mined in 1955 - so is very stable - and was mined at 8 Mile which is known for producing opals with the most compact concentration of color and the photos and videos show this. 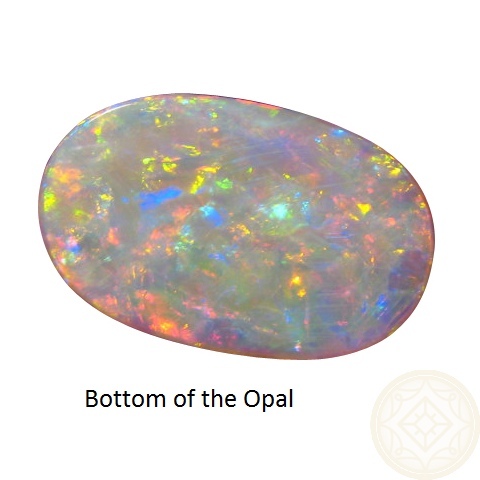 Please note, any dark spots on the ends of the opal are only reflection and are not part of the body tone. 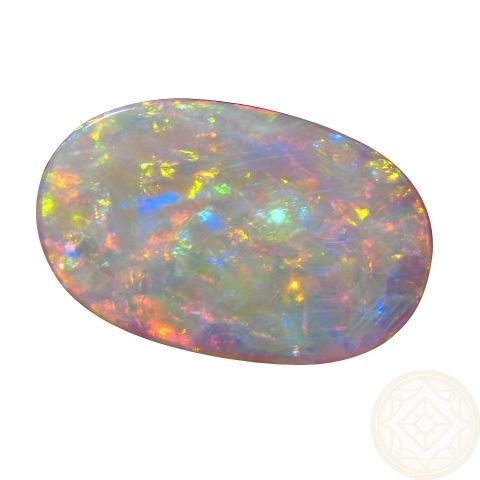 It will take at least 2 days for shipping this amazing Crystal Opal.